Businesses today have an altogether new set of definition defining their growth and business prospects, which covers mostly the open source platforms developing their online presence. While other marketing strategies are a passé now, the CMS development is one of the latest tools used today for business growth, which is very much in vogue with the current trends and is highly up with time. The CMS development services at Design club india bespeak of excellence, uniqueness and above all, cost-effectiveness. Manoeuvring the best-in-class CMS services, our team will work towards empowering your business with an endowment of a wider and better online presence. Get ready for a radical change in your business with Drupal CMS Being it our core competency, Design club india has an unparalleled experience in developing thoroughly professional, highly inventive and totally personalized Drupal-CMS-based solutions for your business. 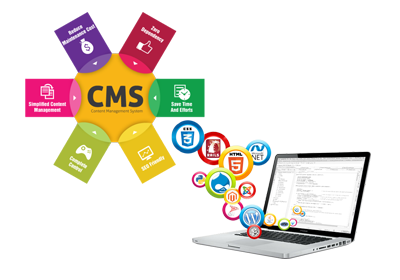 CMS being a foundation stone for our business, we develop modular, scalable, secure, feature-enriched and high-performing Drupal CMS. Exploit the power of social media. With Joomla, the never-going-wrong tool, security is never a concern. To put in 3 words, it is safe, responsive and resilient. You might not trust your ears, if told you that Joomla has already been downloaded more than 30,000,000 times. With bucketing credits, Joomla is the next big thing in CMS. Simple codes revolutionizing your business cores. Efficacious PHP website development services to develop tailor-made web applications specially crafted to match and complement your assorted and unique business requirements. At Design club india, you can rest assured to avail the services from the pioneers in PHP website development. The best codes are written here. The three words that govern the .NET website development job done in our quarters are complete transparency, stunning results and awesome ROI. Our developers turn the project ideas and concepts ideas reality and they have done it time and again with equal eloquence and same articulacy.